Massimo Morozzi was born in Florence in 1941 and today he lives and works in Milan. 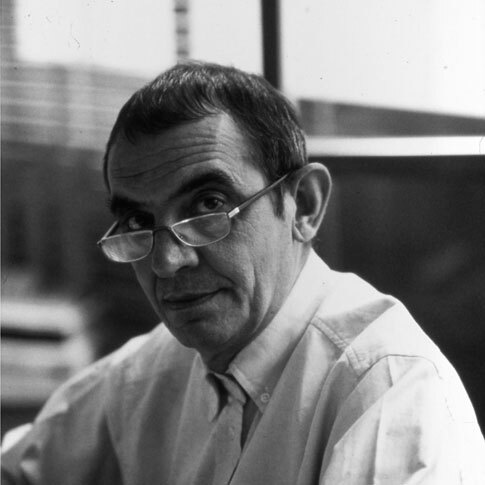 Up until 1972 he was a member of the Archizoom group, and between 1972 and 1977 he co-ordinated the Montefibre Design Centre, designing furnishing fabrics and helping to establish the discipline of Primary Design. In 1982 he opened his own studio and began devoting his attention to product design for household objects and general consumer goods. Functional innovation and highly figurative approaches are the keys to his most recent work with Alessi, Cassina, Driade, Fiam, Giorgetti, and Edra. He has developed important projects and creations for Japanese companies, including a concept car for Nissan and the logo for Crea. Since 1987 he has worked as art director for Edra and has designed various products for the company, including the modular system Paesaggi Italiani. He has held lectures and seminars in Amsterdam, Sao Paulo, Melbourne, Sydney, Tokyo, Cape Town, Stockholm and at the Domus Academy and the European Institute of Design in Milan. His works are displayed in the collections of the Museum of Modern Art in New York and the Musee des Arts Decoratives in Paris.